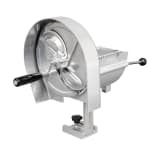 Perfect for slicing product for salads, sandwiches, and pizzas, the Global Solutions GS4400 rotary slicer is adjustable from 1⁄8-inch to 1⁄2-inch cuts. Made of aluminum, the body is heavy duty and resistant to corrosion. For stability, the unit bolts to the countertop. Operators can easily remove the slicer from the counter by turning a screw. 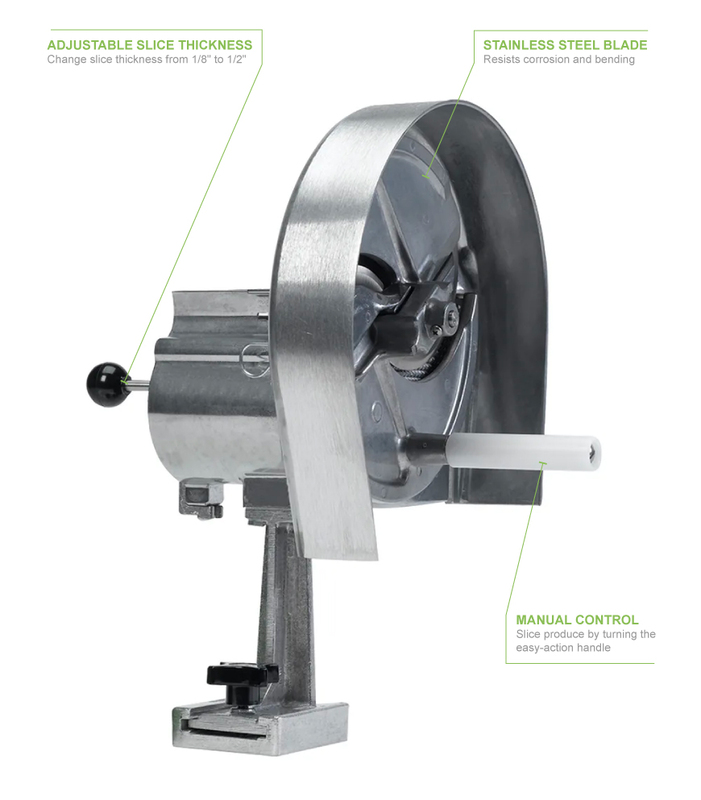 Adjustable slice thickness from 1⁄8 in. to 1⁄2 in. We cover the features of rotary slicers on prep equipment buyers' guide.